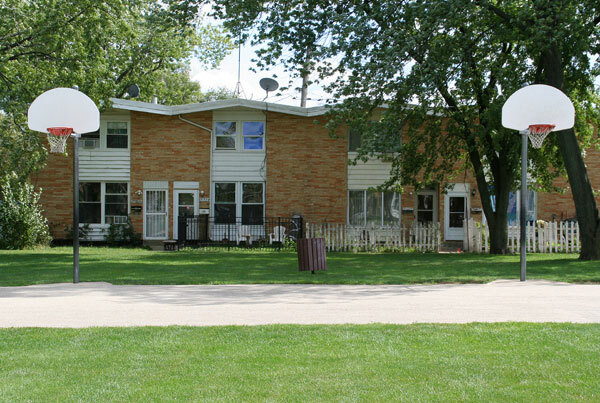 Apache Park is located at 2100 Pine Street. Three blocks west of Lee Street at Highland Drive. 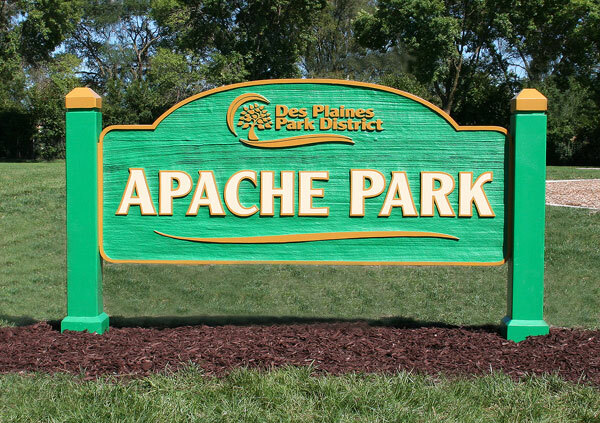 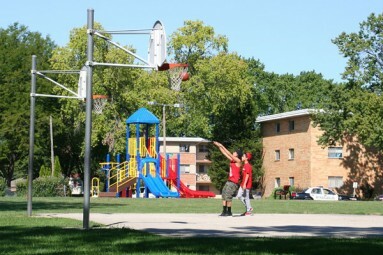 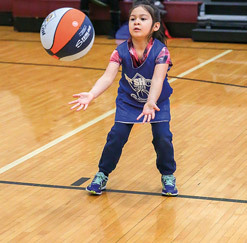 The newly renovated Apache Park is one of the most innovative in Des Plaines. 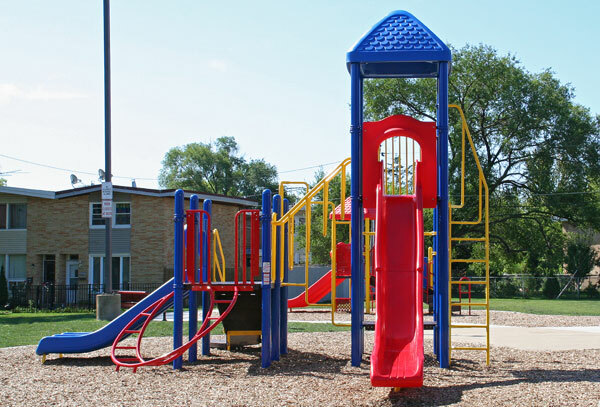 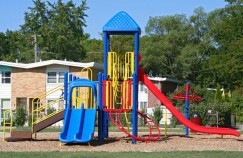 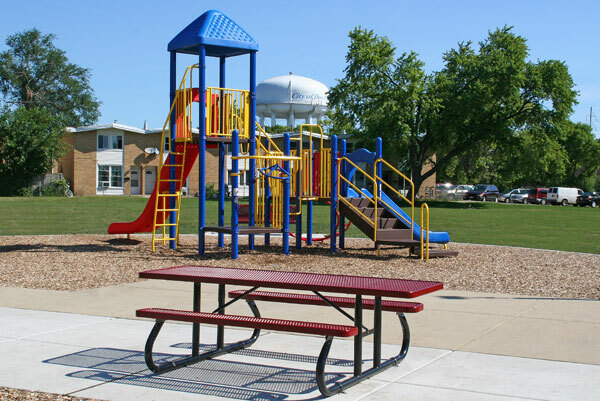 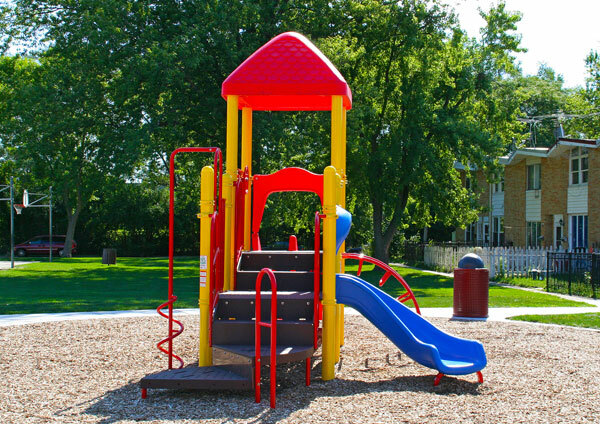 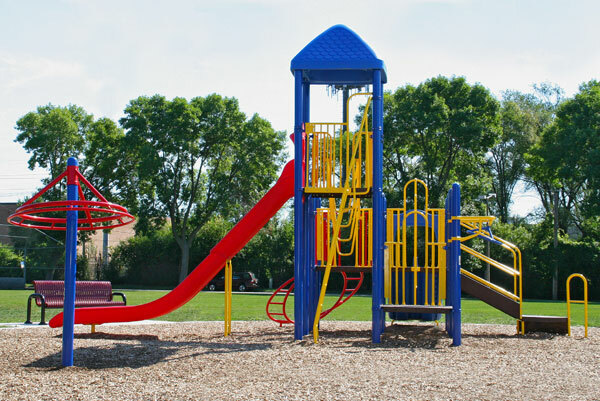 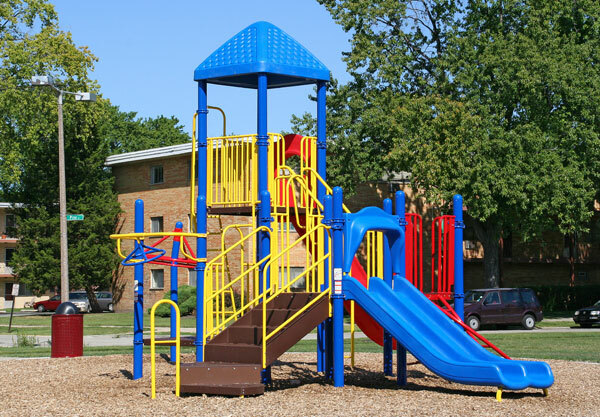 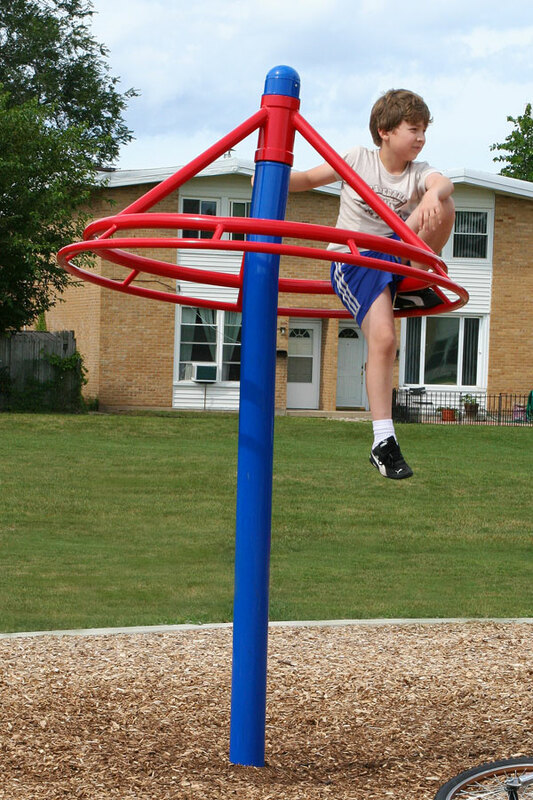 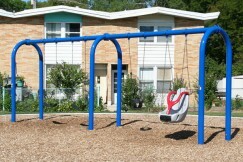 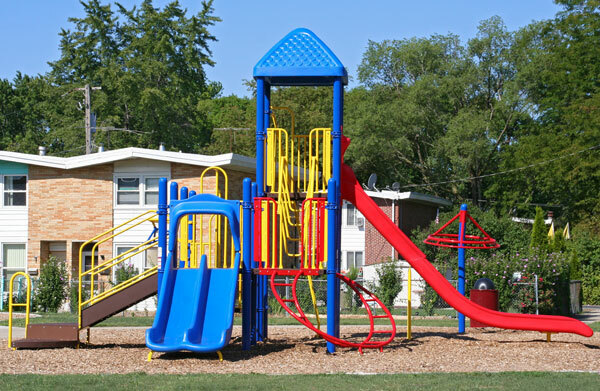 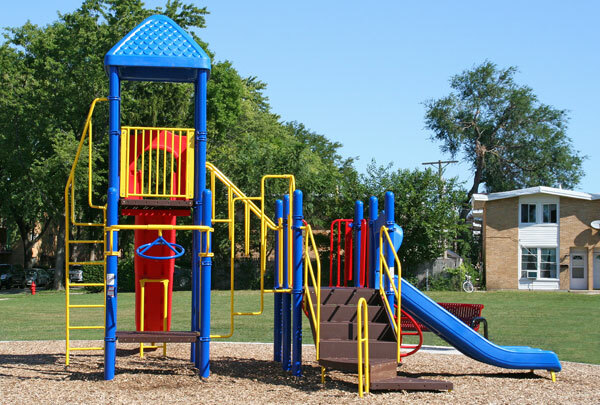 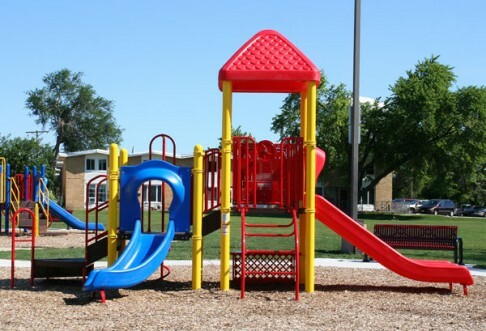 It includes two playgrounds, two shelters with picnic tables, a soccer field with permanent goals, beautifully decorated Peace Poles that were created by local residents, a walking/jogging path, benches for relaxing, and five pieces of outdoor exercise equipment – the first installation of its kind in Des Plaines. 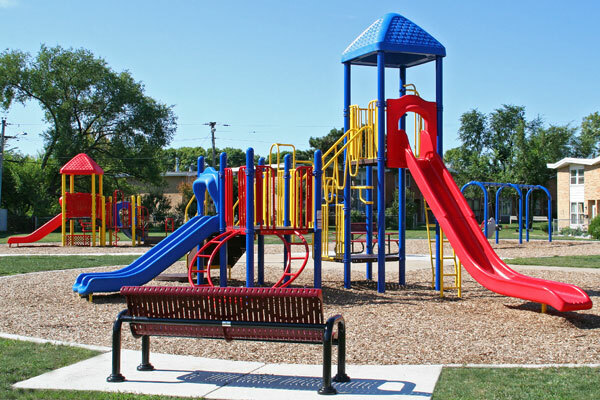 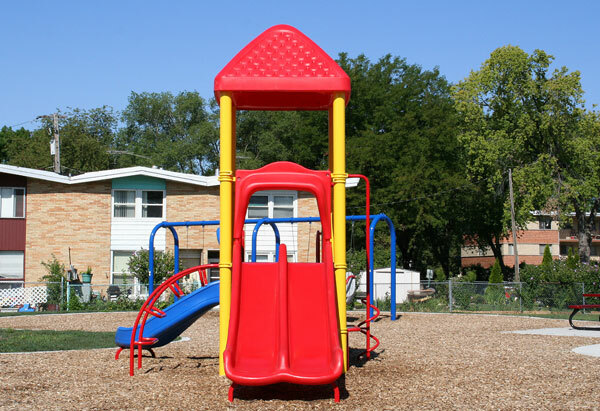 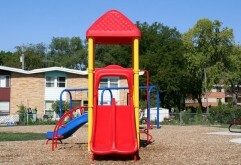 There are slides, swings, and plenty of things to climb on, and there’s still open space for all kinds of play. 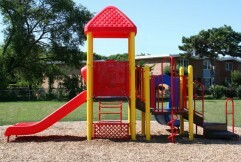 It’s colorful, it’s fun, and meets ADA guidelines. 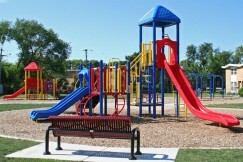 Come Out & Play! Apache Park is a great example of the wonderful things that can happen when residents, the City, and the park district all come together to beautify a neighborhood.